Working with Lela and Manuela when buying my first home took all the anxiety out of typically stressful situation. They made sure I was well-informed on all aspects of the purchase so I could be confident in my decisions. When I decided to sell my first home and purchase elsewhere a few years later, they helped me navigate through a very complicated sale that I'm not sure I could have trusted to anyone else (and certainly couldn't have handled if I tried to sell privately). They helped me purchase my current home in a very competitive market; knowing I had my heart set on it, they went above and beyond to make sure I got it. On top of all of that, Lela and Manuela are fun and personable, which makes buying or selling a home a joy. When I decide to enter back into the market, Lela and Manuela are the only agents I will consider. Working with Lela and Manuela is never just about “business” – it’s always personal. While holding my hand, they guided me every step of the way, walked me through every financial scenario possible, priced my house right and then sold my home in days getting way above asking price. When it comes to my real estate needs, I would ONLY ever trust Lela and Manuela to sell my home and then work on my behalf to help me buy a home. Their commitment to customer service and their knowledge of the real estate market is second to none. Thank you, ladies, for taking care of me. Lela and Manuela are a cut above! As a first time home seller, all the steps and options were explained to me and followed though in a timely manner! Most important for myself is that they made themselves accessible and returned my calls or texts promptly, I was never left waiting. My home sold over list in less that 2 days... that is superior service. Thank you both. 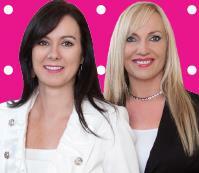 Lela and Manuela are a fantastic team – they totally complement each other! I was fortunate to have both work their particular expertise from initialing finding me my DREAM home and closing that deal respectfully and with integrity for both parties; to the staging and finalizing the sale of my existing home within 6 days of listing and receiving 99% of my asking price. They know how to market your property as well as find you exactly what you are looking for. This is my second experience in having them represent me in a purchase and sale – they will continue to get my business every time – I highly recommend them! Wow, I didn't think things would happen so fast when we listed with Conway/Evans. We had an offer the first day and Lela was a real pro at assessing the deal and guiding the negotiations. Our house sold at list and we managed to get the closing dates wanted, our biggest hurdle. Lela and Manuela took care of al lthe details and had a certain "gut feel" about what the buyer was really looking for. Thanks Lela, for the professional way in which you helped us find exactly what we were looking for, and at a better price then we expected to pay. I am very pleased with the service I recieved from Conway Evans. Not only were they very professional but their attention to detail was evident throughout the transaction and their personal touch really sets them apart. I will recommend them to all my friends! Selling your home is not an easy task (and emotional) and it takes a lot of preparation work before the sale can really start. Manuela went beyond her duties as a real estate agent to advice and help with the preparation and the staging, the internet presentation of the house was really impressive, the sale went as planned, we were very impressed with the professionalism of Manuela, she did a very good job for us. Manuela is a true professional. Her knowledge of the region is great, backed up by solid research. We bought and sold a home with Manuela and she was there every step of the way. She staged our home, which sold over asking within days. She was there and available through a difficult negotiation during the purchase of our new home. We think the world of this lady and would highly, highly, recommend her. Lela and Manuela are absolutely a pleasure to deal with! I have purchased and sold three houses through them and each experience has been completely smooth and exceeded my expectations. Dealing with professionals with integrity is very important to me, and with this team I know I am receiving accurate and knowledgeable advice (in a friendly and approachable package!). I strongly recommend Lela and Manuela for any of your Real Estate needs…they will work hard for you and make your house dreams come true! Lela, thank you so much for all of your hard work, encouraging words and positive attitude. You are amazing at your job and a fabulous woman with such an incredible spirit. It has been a pleasure working with you. This process though frustrating at times has been that much more bearable because of the two of you. We knew from the first time we contacted you that the two of you were a cut above. Honest, professional, courteous, hard working, and extremely knowledgeable. We always felt that you had our best interest at heart and were helping us find our home that was made for us, meant for us and met all of our needs. Never once did we ever feel like we were just another sale. You are simply wonderful. We really appreciate all the many ways Manuela helped make his process easier by meeting our special needs & requests & how quickly she always respond to our questions. Manuela really knows the markets and knows her clients. She is responsive, reassuring, professional, experienced, smart & on top of every detail. She gave us great advice from pricing right through to negotiating the offer. Thanks, Manuela for making the sale of our home so easy!